Well, that lawsuit didn't go quite as planned. CNN reports that a 25-year-old Spaniard who sued his parents for not paying his allowance not only lost, but was ordered by the court to get the hell out of his parents' house and go look for a job. According to the report, the man had been getting $588 a month from his parents, in addition to the free room and board. 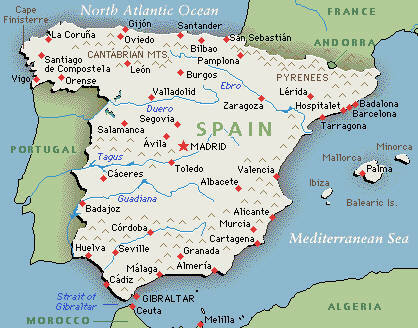 It wasn't clear how long he had been unemployed – or if he had ever had a job to begin with – but it could have been quite some time given that the unemployment rate in Spain is over 40 percent. Evidently he was not trying very hard, however, because his parents finally said they would no longer pay him his allowance unless he at least tried to find a job. While it's possible to have some sympathy for his general situation because of the very high unemployment rate, the fact that he sued his parents lowers the sympathy level quite a bit. The parents don't appear to be wealthy (not that it would necessarily matter) – the report says that his mother works in a restaurant and his father works for a trash-collection firm. Also, the parents alleged that their son had become abusive, although whether this was because the money dried up or was due to pre-existing jerkhood was not clear. Either way, the judge denied his claim (mostly) and ordered him to move out within 30 days. The parents have taken over their son's car payments, and the judge did require them to pay a $292 "monthly food stipend" for the next two years. So he will at least have someplace to live (even if it may be in el coche) and will have enough food to survive. I suspect, though, that a couple weeks of backseat living and whatever substitutes for Top Ramen noodles in Spain might prompt a reconciliation. The judge said the man was studying law, albeit at a slow rate, and would probably not complete the degree for several years, but he thought he was still capable of finding some kind of work. Emphasis added. Again, some sympathy is due because of the unemployment rate, but that does make me wonder whether the "slow rate" of study and the decision to sue his parents for his allowance might be related. Correction: What's "over 40 percent" is the youth unemployment rate, which according to Bloomberg.com has recently hit a remarkable 43 percent. The overall rate is a mere 20 percent.